"What happens next?" 20th Century Fox has debuted another new trailer for their superpowers movie The Darkest Minds, in theaters in August. Finally they're putting out footage that really makes this look good, instead of looking like just another YA movie for teens. The best trailer yet for this movie - worth a watch. 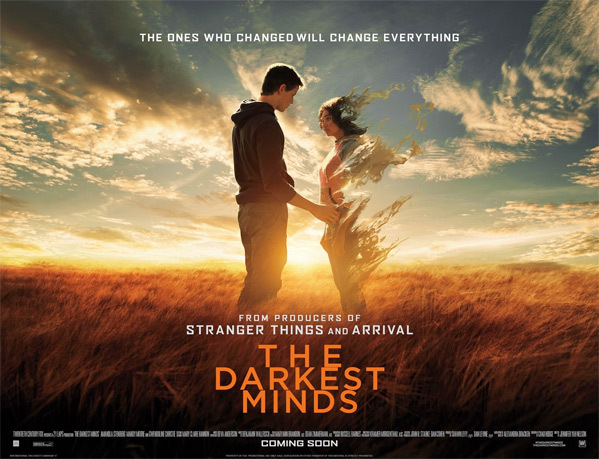 The Darkest Minds is set just after a disease kills 98% of America's children, and the surviving 2% develop superpowers and are then placed in camps. A 16-year-old girl escapes and joins a group of other teens on the run. This stars Amandla Stenberg, Mandy Moore, Harris Dickinson, Wallace Langham, Golden Brooks, Mark O'Brien, Patrick Gibson, and Gwendoline Christie. I'm very curious now, even if this does seem a bit too much like X-Men meets The Girl with All the Gifts. But now you have my attention, Fox. You can also still watch the teaser trailer for The Darkest Minds here, and the other recent promo spot here.